A Â¼ mile wooded drive along a winding private road, paved with crushed limestone, culminates at a clearing where you find an impressive log structure. 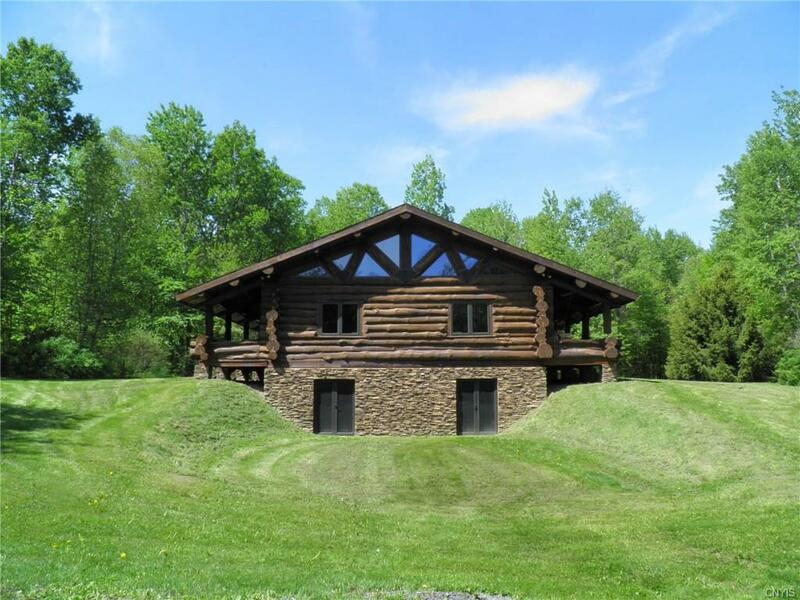 This 20 year old, custom built, scribed log cabin is the premier attraction on this 83.1 acre hunter's Utopia. Residence is 1 story, 1 bedroom, 1 full bath & 1,280 sf in size. Construction included massive white pine logs, meticulously pieced together & supported by a 'Superior Pre-Cast Foundation', topped with asphalt shingle roof (new in 2016). Full basement. 100 yard rifle & sporting clay range consisting of 2 MEC automated, voice activated clay target throwers in wooden sheds. Nine Mile Creek crosses the property. Included: Davis Weather System, driveway alert system, Invisible Fence, dog training bench, rider mower & wood splitter. Directions To Property: From Cr 8 Take Lyboldt Road West ~1 Mile To Guernsy Rd. Then Straight Thru Intersection And West On White Cemetery Road. Travel ~1.9 Miles West Then South On White Cemetery Road To 12865 Driveway On Your Right.